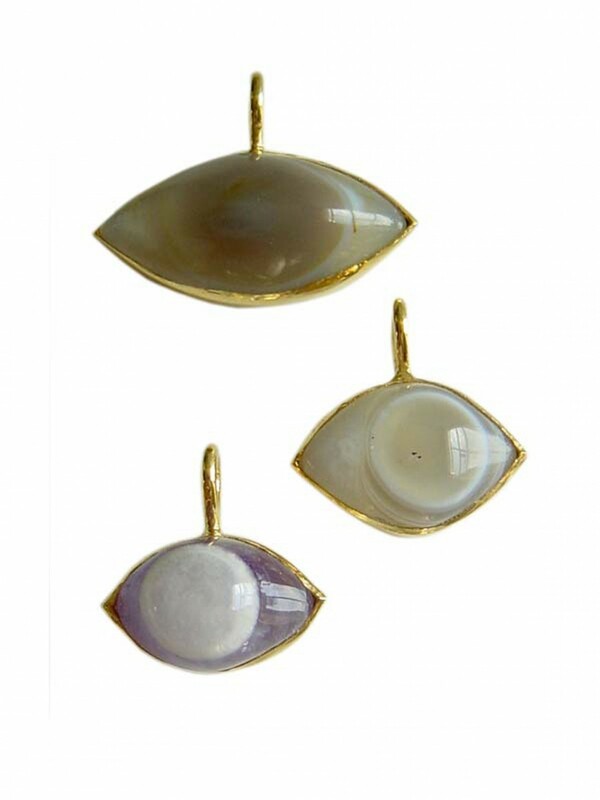 Agate Shiva's eye set in 18ct yellow gold. Your individual eye on the world! 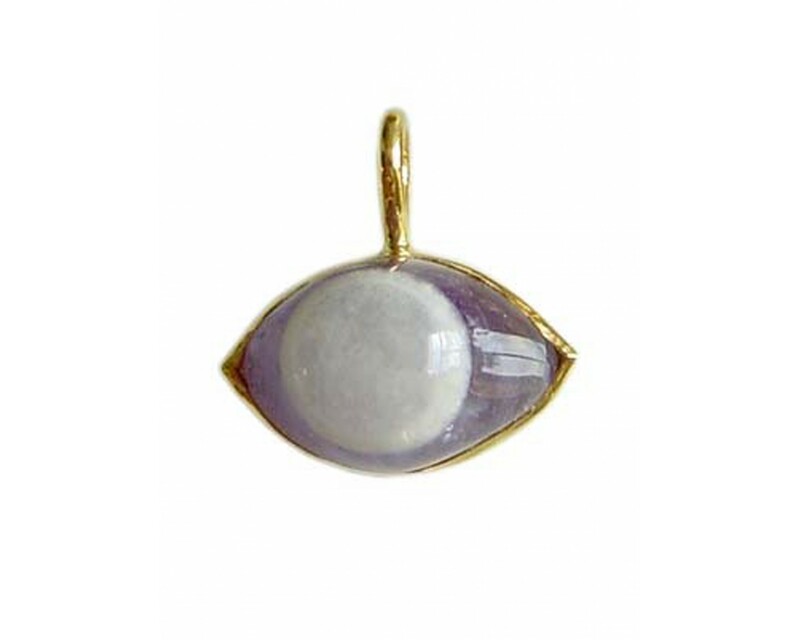 The eye has always been a symbol of protection and we love this version in natural agate stone. 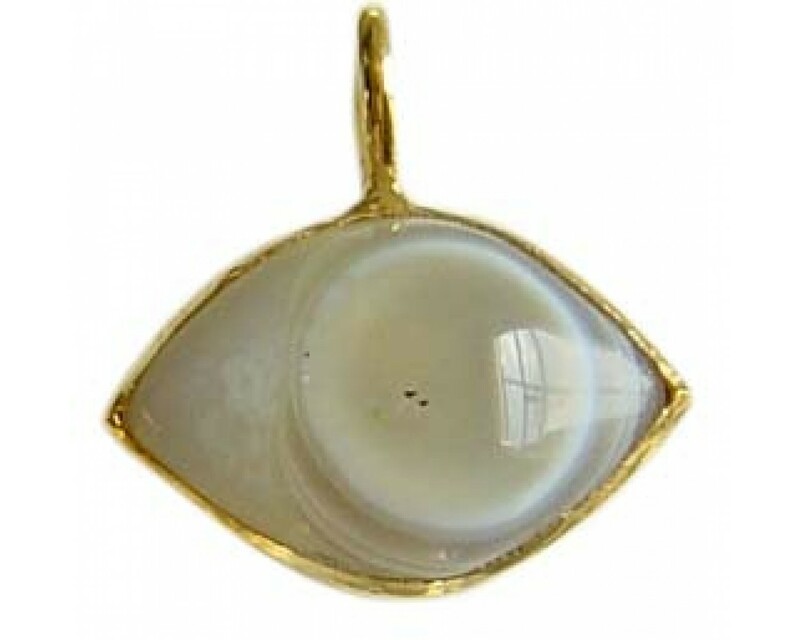 Especially auspicious as these eyes have been naturally formed over millions of years. 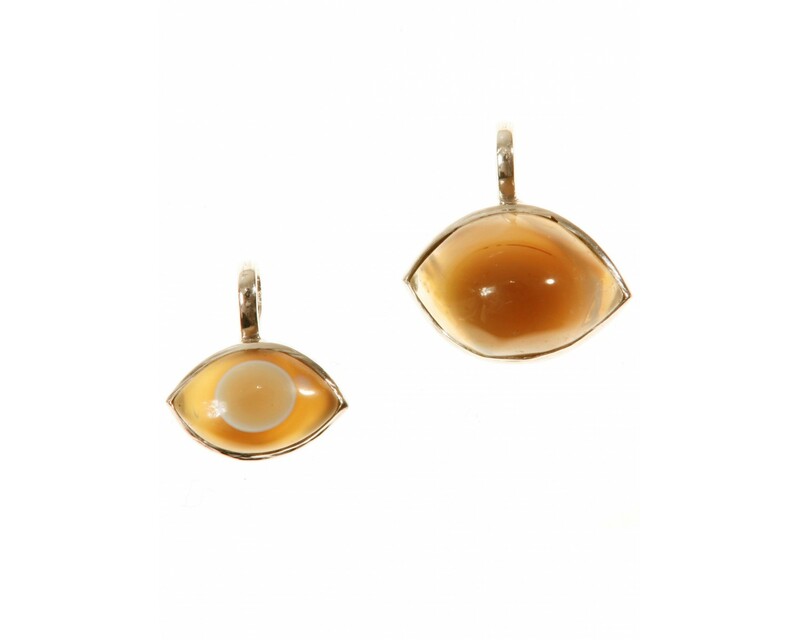 Available in small (£110.00), medium (£160.00) and large (£240.00). Available here is the larger size. 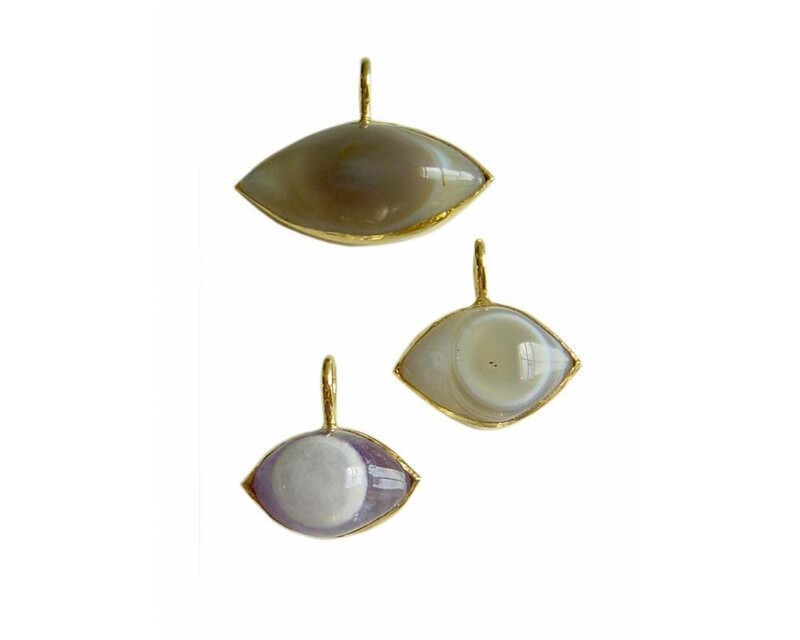 Please enquire re-small & medium sizes.